Dr. Funny Bone is available to make your child's party one they will never forget. 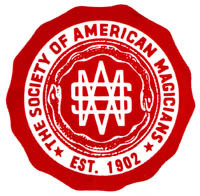 Your child and all their friends will be amazed with the unique magic of Dr. Funny Bone. They will smile and laugh at his antics as he entertains them on this special day. After a fun filled show, the children can have a special balloon creation made just for them by Dr. Funny Bone, and let's not forget the birthday star who will receive an extra special something to say Happy Birthday from Dr. Funny Bone. If your guests are not completely entertained, I did not do my job and YOU don't pay. 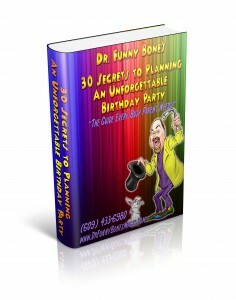 "30 SECRETS TO PLANNING AN UNFORGETTABLE BIRTHDAY PARTY!" The guide Every Busy Parent Needs!